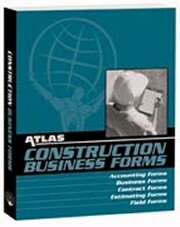 Atlas Construction Business Forms Book - 122 Essential Forms at your Fingertips! 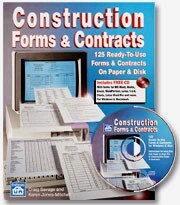 The Atlas Construction Business Forms Book consists of 122 essential forms (2 copies each) to keep your business transactions looking professional and organized. 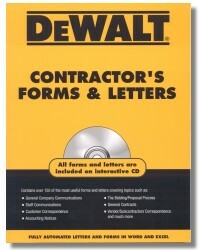 Never be unprepared on the job with our forms that will have your business running at optimum efficiency. These forms are perfect for Architects, Engineers, Construction Professionals, Contractors, HVAC Professionals, Plumbers, Electricians, Designers, and more!